I know that leggings are versatile and easy to wear- however, my goal was to make them look less gym-ish and more"fashionable! Se que los leggings son versatiles y que puedes combinarlos con mil cosas- pero mi meta era hacer que se vieran menos casual (o de hacer ejercicio) y convertirlos en una pieza chic! Que linda te ves, me encantó el primer look, la combinación entre la polera y la chaqueta me gustó. Que versatil puede ser los leggings! si que puede ser una pieza chic! gracias! por que no me cobencia de que puede ser bueno tener uno y ahora si que si me compro uno! besitos! Mixing and matching clothes very much my style...I think instead of buying loads of clothes it is more prudent to create nice looks mixing them up. i absolutely adore leggings! i love wearing them with long shirts! i love the way you styled them too! I love all of your outfits, you have inspirational fashion style. 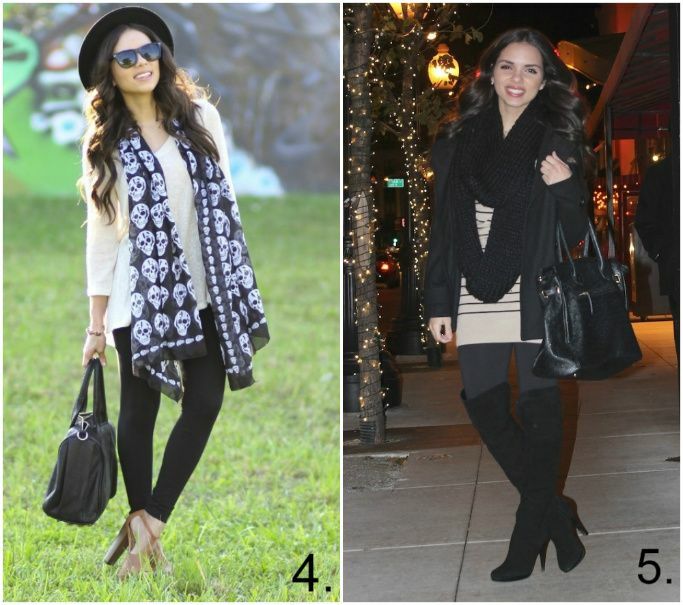 black tights are so versatile and i love how you styled them in all of the outfits! 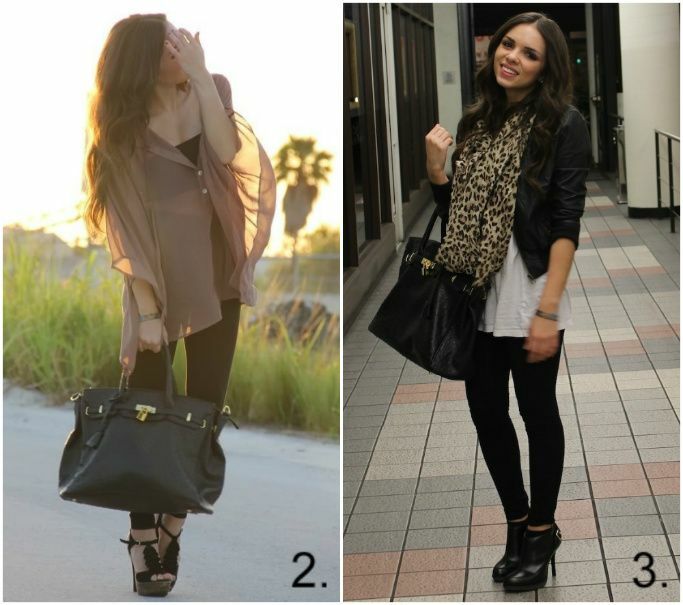 Los looks #1 y #2 son mis favoritos. Pero me encantan todos! You looked gorgeous in every single pic! I could not vote my favorite look because I loved them all!!!! Black legging is an item that everyone must have!!!! que ideal estas, me ha encantado todoo pero no se cual quedarme!